Raising the Roof at OLM! As I look out my window I see roofers on top of our Church hard at work. They are making good progress in replacing our old roof. They did discover some rotted plywood upon removing the old shingles and replaced them. Other than that the work on the new roof has been smooth. 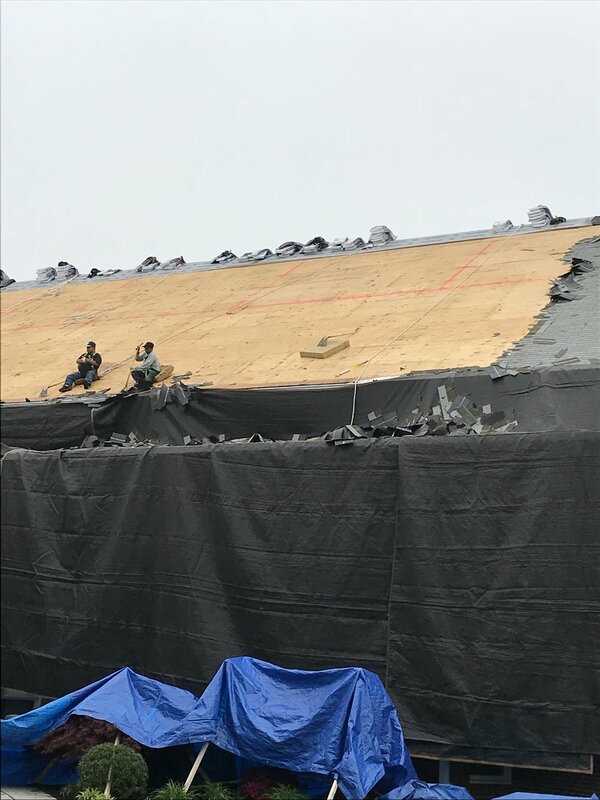 I hope and pray that the new roof is complete by the time this bulletin is printed! The roofers are working very efficiently and have managed to get the work done without the interference of rain. The new shingles certainly look good and have a 50 year life! We closed the doors to Church and the Office for safety during this project. I thank you for your cooperation and understanding. We had a joyful and faithful celebration of First Communion last Saturday morning. Sixty-four children from our parish received Jesus Christ sacramentally in Holy Communion for the very fist time! It was a joyful celebration and we give thanks to God for such a wonderful occasion in the life of our parish family. Our First Communion Class also celebrated the Annual May Crowning at the 10:30am Mass on Sunday. It was a fitting way to mark Mother’s Day as we crowned our Blessed Mother Mary, Queen of the Angels and Queen of the May! The children consecrated themselves to the protection and patronage of Mary our Mother! We congratulate these children and continue to pray for them as they grow in the faith. Our Holy Father, Pope Francis, says: "You, who make your First Communion, always remember this day your whole life: the first day that Jesus came in to us. He comes, makes himself one with us, makes himself our food, our nourishment to give us strength." I am happy to announce that our Summer Seminarian, Patrick Ryan, arrives this week to begin his assignment here. Patrick is a seminarian studying for the priesthood for the Diocese of Providence. He recently completed his first year of post-college study of philosophy and theology at Providence College. He lived at Our Lady of Providence Seminary on Mt. Pleasant Avenue in Providence. Patrick is from Coventry where he and his family are parishioners of Saints John and Paul Parish. He graduated from Coventry High School and Boston University. Patrick will live with us in the Rectory and work alongside of Fr. Barrow and myself for ten weeks. Besides serving Mass, Patrick will have the great opportunity to immerse himself in the life and ministry of our parish from teaching in our school to visiting our homebound. We look forward to his presence at OLM. He will be able to see the daily life of parish priests as well as the life of a parish. I know you will give him your usual warm welcome. Please be sure to introduce yourself when you see him around the parish or around town! Welcome Patrick! Next Saturday morning one of our former Summer Seminarians, Eric Silva, is to be ordained a transitional deacon for our diocese. Eric will be ordained a priest next June at the Cathedral, please keep him in your prayers as he continues his studies. We wish him many blessings and offer our prayerful congratulations on his ordination to the diaconate. Ad multos annos! 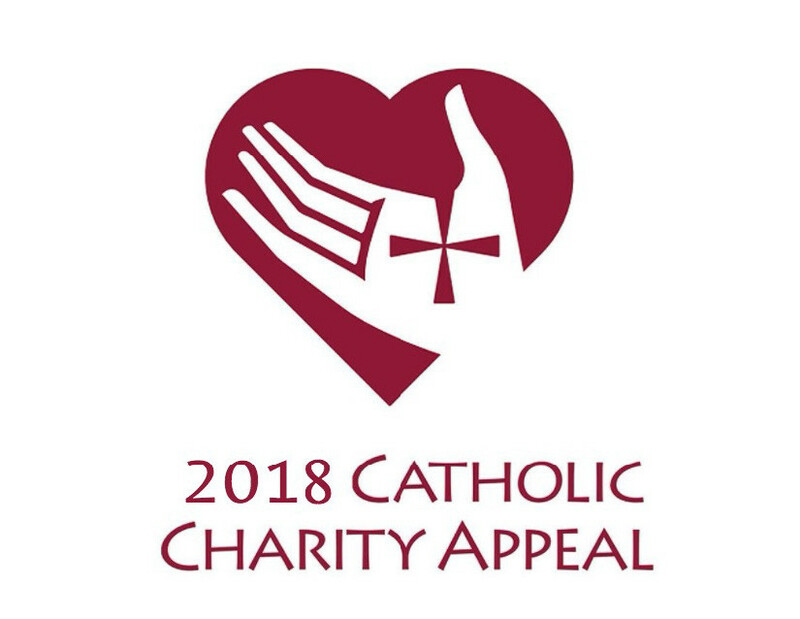 We are getting much closer to meeting our parish goal of $193,000 for the Catholic Charity Appeal. Thus far we have heard from just 440 families. Yet we are a parish of nearly 2,500 registered families! We ask every parish family to consider supporting the CCA and to make a pledge of $300 over a year. The CCA helps the poor and needy across our state. Just Imagine all the good work in the name of Jesus that could be done if every family was willing to support the CCA! If you have not yet given your gift, please do so and place it in the weekly collection basket. Please take one of the pledge envelopes that are located in the vestibule of the Church. If we are to make our parish goal, we truly need the support of every parish family. In the name of the poor, I thank you for your support. I am away this weekend attending my niece’s graduation from Georgetown Law School. She is a graduate of both OLM School and Prout. I am very proud of her and looking forward to the celebration this weekend! Do good. Be well. God Bless. Go Sox! Go Celtics!